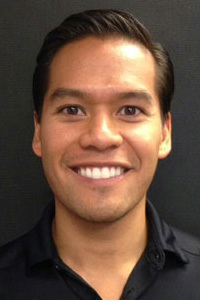 Dr. Sidjonn Regala PT, DPT received his Doctorate of Physical Therapy degree from Hardin-Simmons University of Abilene, TX in 2009. He also attended Texas Tech University and Hardin-Simmons University for undergraduate studies to pursue a bachelor of science in biology degree with a minor in mathematics in 2007. He has a passion for manual therapy, treating orthopedic injuries, and dealing with neurological aspects of physical therapy. While pursuing his Doctoral degree, Sidjonn was active with Orthopedic Manual Enhancements at West Texas Rehab Center. He has gained most of his experience in orthopedic clinical settings, but experience ranges from extensive affiliations with neurological, acute, and aquatic physical therapy. He was also active with continuing education by presenting in-services with the following topics: Vestibular System and Balance, Manual Techniques for the Cervical Spine, Neuromyelitis Optica, and The Immediate Affects of Whole-Body Vibration on Soft Tissues. He is an active member around the community with experience of providing fitness screens for athletes in sporting events, volunteering at the Special Olympics in 2007, geriatrics in nursing homes/senior centers, and being active in a mission trip to Piedras Negras, Coahuila, Mexico to evaluate and treat children in an orphanage. His personal sports history includes football, basketball, and baseball. Sidjonn was a varsity pitcher in college who specialized with helping teammates and other athletes in the community with pitching mechanics. His goal is to educate and treat clients on injury prevention, postural mechanics, performance enhancements, functional recovery, and helping clients to reach their functional goals.